LONDON — The benchmark is one of the most important in the world. It underpins trillions of dollars in financial products. It was the center of a huge scandal when banks were accused of rigging it. Now Libor is going away. British regulators said on Thursday that they wanted to phase out the scandal-plagued interest rate by 2021, replacing it with new measures that are more closely tied to the lending markets. The London interbank offered rate, or Libor, dates back to the 1980s, when banks in Britain decided to use a uniform benchmark across their increasing range of financial products, rather than referring to various currencies and interest rates. Today, Libor is the underlying rate for a vast array of financial products, from home loans and credit cards to small business loans. To set Libor, banks submit the rates at which they would be prepared to lend money to one another, on an unsecured basis, in various currencies and at varying maturities. But that process has been undermined in recent years. Several banks were accused of adjusting their Libor submissions to benefit themselves and their traders’ positions, rather than reflecting the rates at which they were actually making loans. An inquiry into manipulation of the rate led to billions of dollars in fines and shook the reputations of some of the world’s biggest banks, including Barclays, Deutsche Bank, Royal Bank of Scotland and UBS. Financial institutions, and individual bank employees, are still paying the price. Authorities on both sides of the Atlantic have pursued companies and bankers over Libor rigging, albeit with mixed success. 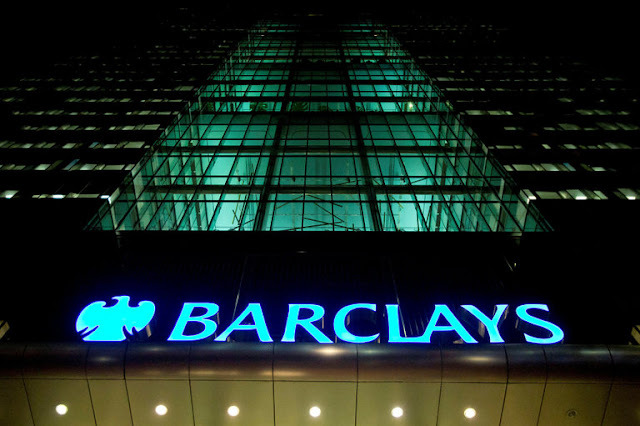 The ensuing scandal also cost some senior bank executives, including the Barclays chief executive Robert E. Diamond Jr., their jobs. And because Libor is so prevalent in everyday financial life, the scandal has also touched consumers. Libor is tied to more than $350 trillion in derivatives, corporate bonds and other financial products, according to the ICE Benchmark Administration, a division of Intercontinental Exchange, which oversees the rate. Like the prime rate in the United States, it is also often used to help determine how much interest banks and other financial institutions should charge consumers. Many credit cards, adjustable rate mortgages and student loans are tied to it. The one-year Libor, which represents the rate of interest on a loan between banks to be paid back within a year, is the most commonly used index for mortgages in the United States, according to the Consumer Financial Protection Bureau. The rate’s reputation has suffered in recent years, though, because of the accusations over rigging. British authorities have not explicitly linked the decision to do away with Libor to the scandals surrounding it. But concerns over rate-rigging have increased scrutiny over how the benchmark is determined, and regulators say the rate has simply become less reliable. Andrew Bailey, the chief executive of the Financial Conduct Authority in Britain, said the market that Libor sought to measure — unsecured wholesale term lending to banks — was “no longer sufficiently active” for it to continue as a benchmark. In his speech, Mr. Bailey cited what he called an “extreme example”: There was a particular currency and maturity for which about a dozen banks submitted a rate every day, when only 15 such transactions of potentially qualifying size were executed in 2016. One of the reasons Libor has persisted is that few alternatives yet exist. It is going to be replaced by a system of rates that are more closely tied to the interest rates on actual loans. But the details of that system have not been worked out. One potential replacement would be the Sterling Over Night Index Average, or Sonia, which reflects unsecured short-term transactions tied to the pound. Mr. Bailey said that the regulator had agreed with the panel banks to sustain Libor through 2021 to smooth a transition to new rates.